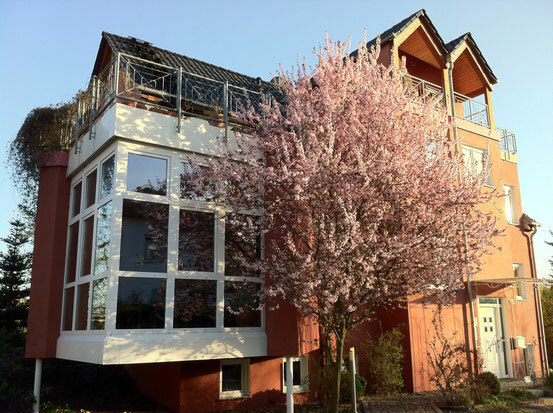 Our guesthouse Kirschgarten is located at the southern entrance of Bodenheim and is close to Frankfurt, Wiesbaden, Mainz and Darmstadt, as well as close to vineyards, the Rhine and nature. Whether you are for a business or a private stay in Bodenheim, the surrounding area, Rheinhessen offers something for every visitor. Our ten modern rooms, including two apartments, make short and also longer stays to an experience.